Four large limestone statues were stolen from Milltown Castle in July of 2011. Two were statues of eagles which has been mounted on 10ft high pillars and the others were life size busts of William of Orange and Oliver Cromwell. 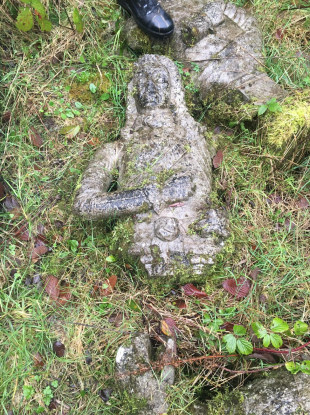 However, earlier this week a member of the public found four stone statues near a derelict property on lands near Cratloe, Clare. The local garda investigating the matter remembered the original theft and connected the incidents. A garda spokesman said: “On the 8th of February 2019 Gardaí recovered the property. Email “Gardaí recover statues of Oliver Cromwell and William of Orange stolen in 2011 Cork robbery”. Feedback on “Gardaí recover statues of Oliver Cromwell and William of Orange stolen in 2011 Cork robbery”.